Died in Marion on Tuesday, July 30th AUGUSTUS R, infant son of E. A. BLUNT age five months, six days. Died of congestive fever in Marion on Friday morning the 16th inst. 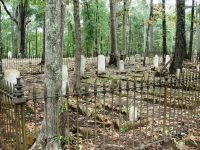 W. K. WHITE, in the forty-third year of his age, leaving his bereaved companion and seven children to realize their unspeakable loss…He resided in Clarendon, Sumpter District, South Carolina up to December 1846 at which time he removed to Alabama. Died at her residence in Union Parish, Louisiana on the 24th of July at 7 o’clock p.m. of a chronic disease of the liver, MRS. MARY P. EVERETT consort of the REV. GEORGE EVERETT, in her thirty-eighth year. 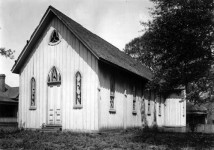 Sister EVERETT was born in Bertie County, North Carolina and was married to Mr. I.S. JORDAN on the 27th of August 1835. Her former husband, MR. JORDAN died in Dallas County, Alabama on the 23rd of April 1844, and she again married to the REV. GEORGE EVERETT on the 13th February 1849. Died on Wednesday the 4th inst. of typhoid and intermittent fever at the residence of his father, REV. JAMES TUBB, MR.JOHN TUBB, age twenty years, eleven months, nineteen days. BISHOP BASCOM: Died in this city, says the Baptist Banner on Sunday morning, 8th inst. after a protracted and painful illness. REV.HENRY B. BASCOM. Died at the family residence near Brooklyn, Conecuh County, on the 5th inst. after a severe illness of about six weeks, MRS. MARY A. MCCREAY, consort of ELIJAH MCCREARY, in the twenty-fifth year of her age. She leaves a husband and five little children. NATHAN PARKS was born in Lawrence District, South Carolina. October 25, 1788. 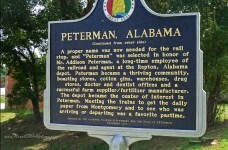 He removed to Benton County, Alabama in 1835. In July 1850 he left home on a visit to some of his children in Chickasaw and Yalobusha Counties Mississippi. During his stay in the latter county, he was attacked with a carbuncle on his right shoulder, which disease terminated his life on the 27th of August 1850 at his son’s house in Chickasaw County. Died September 14th, R. H. son of TAM?EY and R. H. VAUGHAN, age two years, five months, sixteen days. Died at her residence near Carthage, Tuscaloosa County, Alabama on Sunday, September 22nd, 1850, MRS. OLIVIA NORRIS, in the seventy-third year of her age. She was born in Edgefield District, South Carolina on March 2nd, 1778. Her parents were EVAN and OLIVE MORGAN. The maiden name of the latter was NEWSOM, a pious woman who died early leaving the subject of this notice an infant. Her father, EVAN MORGAN, was a native of Wales who from ill treatment of a step-mother at the early age of twelve years left his home and his country and came to America. He, too, became a devotedly pious man, a member with his wife of a Baptist Church on Big Stephen’s Creek, Edgefield, South Carolina. 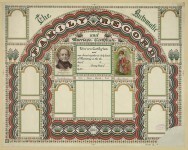 OLIVIA MORGAN was married to DAVID QUARIES, esq. July 1795, who died March 1807 leaving four children. 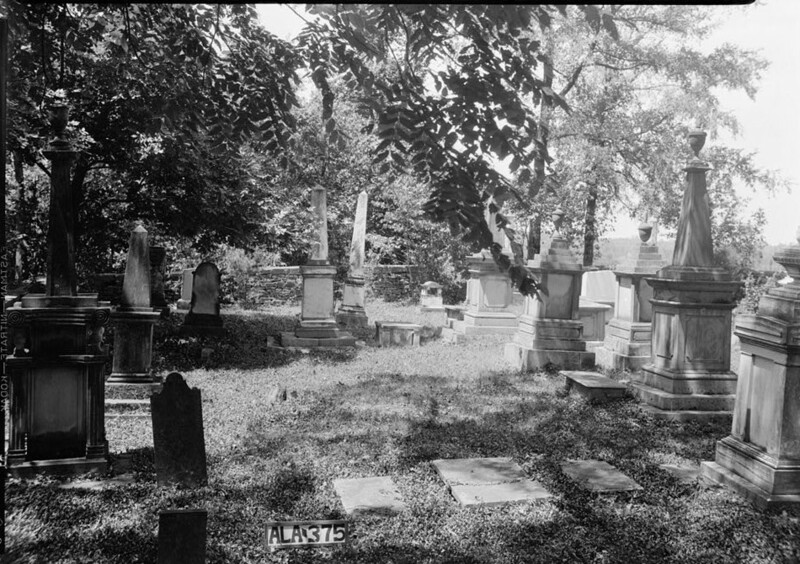 In December 1809 she was married to THOMAS NORRIS, who afterward became a Baptist minister of wide notoriety and usefulness, removed with his family to Alabama in 1833, and finished his course at the family residence September 1842, age sixty-three years…her mortal remains were consigned to the tomb on Monday afternoon, September 23rd, 1850. DEAR BROTHER DYER; It becomes my mournful duty to announce to you and the many readers of the Advocate the decease of the aged and toil worn MRS. MCCOY. She was released by death from suffering on the morning of the 12th inst. At the residence of MR. J. C. MCCOY, near Westport, Missouri. Tribute of respect on the death of WILLIAM L. MOSLEY. Died at the residence of his brother, WESLEY MARSHALL, in Pickens County, Alabama on Monday the 12th of August last, BROTHER FRANCIS S. GARDNER, age twenty-one years, six months, ten days. 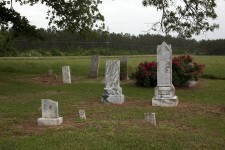 He was buried at Bethany Church, Pickens County. DR. COTE who has been for some time associated with the Grand Ligne Mission in Canada breathed his last at Hinesburg, Vermont, September 17th where he was attending an Association. Died in Greene County on the 20th of September last, MRS. MARY WINDHAM, age forty-eight years. Died in this county on the 4th inst. Seven miles north of Marion, MRS. JANE SANDERS, consort of JOHN SANDERS, and daughter of the late WM. CANNON of Kemper County, Mississippi. MRS. SANDERS was a native of Pendleton District, South Carolina, from whence she removed to Alabama with her parents in early life. 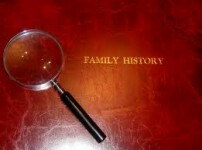 She was married to MR. S. on the 24th of September 1829, with whom she resided in Perry County. 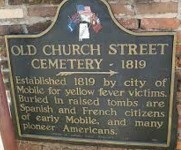 Died on the 17th of October 1850 at the residence of her husband in Union Parish, Louisiana, MRS. ANN, wife of the REV. ELIAS GEORGE. SISTER GEORGE was born in Wayne County, North Carolina on the 18th of June 1812, married to ELIAS GEORGE of Perry County, Alabama January 10th, 1828, and immigrated to Louisiana in 1847. Died of pulmonary consumption on the 22nd inst. MRS. M. LOUISA BILLINGSLEA, wife of DR. C. BILLINGSLEA of this place. Died in this place on the 11th inst. Of dysentery, MISS MARY ANN WILKERSON of Tuscaloosa County, in the sixteenth year of her age. Died in this place on 26th November last, MISS MARTHA T. BENSON, daughter of GABRIEL and ROSANNA BENSON, deceased. Died of fever in Louisville, Barbour County, on the 12th of September 1850, AMANDA, daughter of M. M.MCLENDON, aged thirteen years, six months, six days. Died of erysipelas at the residence of her husband in Montgomery County on the 9th day of November last, MRS. SPEARE, consort of REV. P. W. SPEARE, after a painful illness of four days. MRS. S. was the daughter of HOOPER CALF? Esq. And a native of Guilford County, North Carolina , born June 1, 1816… The Montgomery Atlas will please copy. 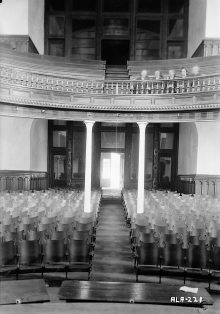 Did you know that in 1869 there was a dramatic club made up of only men in Greensboro, Alabama? I am searching for Cornelius and Bynum information in Blount county AL. and after they came to Texas. Would love pictures, stories and obituaries. Thank you. Any information I have is immediately posted to the website and mew stories are posted daily. You can do a menu search to see if your name shows up in any story on the website. If you subscribe to the daily newsletter, you will receive an email of all new stories each day. Good luck in your research. 5345 F M 339 N Prairie Hill, Texas, 76678 or [email protected] concerning the newsletter and book.